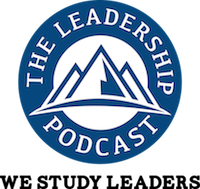 Jen Paquette, Executive Director of the Green Beret Foundation, discusses how her husband’s injury changed her mission, and how she leveraged her business experience to lead a dynamic non-profit organization. Jen covers the lessons learned running a not-for-profit; the difficulty of fund raising; building her own credibility; and effective board management. Jen also discusses the women of Steel Mags, and the vital role they play in the organization. Most important to Jen is that a fallen Green Beret is never forgotten. Jen is an Honorary Member of the Special Forces Association – only the sixth woman in history to receive this honor at the National level. [2:03] Jen became involved in the Green Beret Foundation from her husband, Roland’s, experience in Special Operations Forces. He was traumatically injured by an IED, and stayed a year at Walter Reed; then they moved to San Antonio. In San Antonio, SOC asked her to help start a program for all of SOF. She used her business experience to help, but saw that the Green Berets had no program of their own. [5:35] Jen resigned at SOCOM and started working at the GBF, with no salary for the first 24-30 months, running it out of the Anderson and Paquette homes. [7:13] Jen covers some of the lessons learned running a not-for-profit; the difficulty of fund raising for a not-for-profit, the complexity, building her own credibility, building institutional credibility, donor fatigue, and dealing with a board. [11:16] Transitioning from an executive business role to directing a not-for-profit taught Jen to do more with less. Jen hasn’t been on a vacation since 2005. The staff is small, and emergencies happen. She either had to figure out various jobs herself, or find someone to help her. She has learned to network. [16:15] Jen talks about Gold Star families. Jen’s commitment is to improve their quality of life, and to make sure that that soldier’s name does not get forgotten. [20:49] Jen talks about transition support. [25:53] Jen has noticed that ranks such as Sergeant Major and above have a rougher time to humble themselves. They have to be audacious in battle, but in civilian life that has to be unlearned. The younger guys are still in learning mode, and have an easier adjustment. [29:29] Jen discusses her involvement in the Steel Mags. They are purpose-driven, just like the Green Berets. This is a lifestyle for us, not a 9-to-5. They also do good in the community outside. [34:01] Jen explains her lifestyle with one word: passion! It’s not emotion; it’s drive. [36:47] Jen ends with a story. Jen Paquette is the Executive Director of the Green Beret Foundation (GBF). At Jen’s request, her children call her Mrs. Boss Lady. Her community calls her MBL. 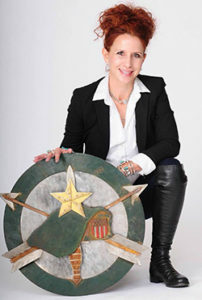 Jen has served as Executive Director of the Green Beret Foundation beginning 1 August 2011. In 2009, Jen served on the GBF’s Board of Advisors helping establish the Foundation and later as Vice-President, Chief Operating Officer and Treasurer since January 2010. She has identified and developed programs and services, planned and executed GBF’s numerous fundraising events raising millions of dollars and awareness for the US Army Special Forces. She has fostered business relationships with other not-for-profits and corporate sponsorships for the Foundation. Jen is the founder of the GBF’s sorority, the Steel Mags. She manages critical aspects of day- to-day operations and handles strategic business development at the Foundation including strategic planning, fundraising, building and maintaining donor and investor relationships, coordination of services with USSOCOM Care Coalition, USASFC, USASOC and delivering those services to Green Berets and their families. Jen’s number one and most important position is being the wife of SSG(R) Roland Paquette III who was an 18D (Special Forces Medic) and now an Emergency Room Physician Assistant and owner and operator of Med Training Group LLC. Roland was traumatically wounded by an IED blast while serving in Operation Enduring Freedom giving both legs above the knees. Prior to her work at the GBF, Jen was asked by USSOCOM Care Coalition leadership to help develop and start the USSOCOM Care Coalition Recovery Program. This program was developed for traumatically wounded SOF warriors and their families’ long term recovery and support. Jen has worked for companies such as Intel Corporation and Phelps Dodge Corporation now Freeport McMoRan Copper and Gold Inc. holding various positions. She has extensive experience in managing high profile multi-million dollar projects, developing and delivering leadership training throughout the country to private companies and schools, and providing consulting for private and not for profits businesses. Jen has over twenty-five years of experience in planning and executing complicated events of various sizes and formats and managing, networking and liaising, between contrasting demographics in all the different circles within her network. Ms. Paquette earned her B.S. in Business Administration majoring in Supply Chain Management from Arizona State University and her Master’s in Public Administration with a concentration in Not-for-Profits and Public Policy from St. Mary’s University. She is a member of Business Executives for National Security, the San Antonio Downtown Rotary Club, the San Antonio Chamber of Commerce, and an associate member to the OSS Society. She is the Vice President and a Board of Director for Dancing Angels Foundation. Jen is also on the Board of Advisors for the National Special Forces Green Beret Memorial Project near Ft. Bragg, NC. She has been active with JINSA, AIPAC, and Catholic Charities. She was selected for the 2012 Outstanding Young San Antonian award. Jen is an Honorary Member of the Special Forces Association. She is the sixth woman in history to receive this honor at the National level, and the second within the SFA Chapter XV. Most recently, Jen was selected for the United State’s Special Operation Command highest award- the Patriot Award, Jen splits her time between DC, NYC, Ft. Bragg and San Antonio, Texas where she lives with her Green Beret and their youngest son.